Do you need Rotational Strength in Hockey? Everyone knows that hockey is a game of speed- those first to the puck definitely have the upper hand. But what most athletes neglect in training, is the importance of functional rotational strength. In hockey, a strong, flexible core region (abdominal and low back) will aid in a powerful stride as well as balance and stability on the ice, protect from injury, as well as improve shot performance. Part one of this article focuses on unique exercises that will strengthen the core area of the hockey player making him or her a force to be reckoned with on the ice. The Tornado is an excellent movement that targets not only the core, but also the entire shoulder girdle. The unique function of this exercise lies in the range of motion- the athlete must constantly contract the core muscles, eliminating any resting phase of the movement. Execution: Have a barbell loaded on one side only, with the empty side placed into the corner of the wall or corner of the power rack. With feet slightly bent and shoulder-width apart, lift loaded side to chest height with arms bent to begin the movement. Lift barbell overhead and proceed to turn upper body to left side, while lowering the barbell to the left side with arms slightly bent. Hold pause and contract. Raise barbell to starting position above head and proceed with right side. Be sure to use a weight that enables you to “feel” the exercise- form is essential. A gradual progression of added weight or extra reps (only if form is impeccable) will provide extra challenge to the player. PLEASE CALL US NOW FOR OUR SUMMER CAMP- only 17 spots left! Here’s how the program works from a physiological standpoint. An important factor to consider when working to increase strength and muscle size is to maximize motor unit activation. To better understand this, think of your body as containing a pool of motor units. By performing the DEVIL bench workout, which consists of lifting at, or near, maximum capacity, you would activate almost all of those motor units. The type of motor units we are aiming to recruit are the “fast twitch” or the type IIb muscle fibers. Fast twitch fibers are associated with high threshold motor units and are evidenced by power, speed and explosiveness. SST encourages their athletes to recruit the fast twitch fibers because this optimizes the most potential for building both strength and size. And who doesn’t want to be bigger and stronger? The DEVIL workout is also an effective tool when used to build up the legs, but for now let’s look at increasing bench performance. CALL US NOW FOR SUMMER FOOTBALL PROGRAM- we only have 12 spots left! One of the most frequently asked questions hockey athletes want answers to, is how to become faster on the ice. Everyone wants fast feet. Going after a dumped puck, outskating a defender, or even chasing down a breakaway while back- checking all require speed. However, when looking at the training programs of young hockey players, one thing is always obvious- they’re not training correctly to become faster players. The Hockey Speed Program at S.S.T. does what others leave out- train fast to play fast! It’s not uncommon for players to soak up time training their aerobic systems on the treadmill or even a stationary cycle. Long bouts of monotonous, low intensity work sessions are a sure way to increase aerobic capacity, yet how many hockey players do you see having a 20 or 30 minute shift? None! That’s why traditional aerobic work will not only leave a player weak on the ice, but more importantly, left behind. Our main focus is keeping the athletes in settings specific to their sport, and that’s why our training methods have been talked about for years. Training hockey players in quick, powerful movements for limited periods of time mimics the tempo of the game on ice. Our programs are designed specifically with the intent on giving young athletes the very best, from beginning to end. That’s why our coaches teach dynamic warmup techniques- the most effective means at warming up an athlete while simultaneously decreasing injury. Traditional “static” and “cold” stretching is a thing of the past, and S.S.T. will eliminate any doubts! Not only is speed a factor of success on ice, but so is footwork. Our coaches believe in the importance of being quick on the ice- fast feet coupled with fast body control and coordination. Off ice ladder and running agility drills are a specialty for S.S.T. coaches. The importance of jumping and bounding in terms of hockey training is essential in developing power for the athlete. Simple jumps over pylons, long jumps, lateral hops and depth drops are just a few of the plyometric exercises that we use to develop power that will transfer to game time. By targeting the “stretch-shortening cycle” of the muscle through these means, players will undoubtedly take their game to another level! Perhaps the greatest misconceptions that many coaches have in trying to develop fast players is to run them into the ground, in hopes that it will transfer to on ice play. Leave those ideas at the door, and watch how S.S.T. utilizes some of the most innovative and productive means at achieving speed!!! Power training sleds, which have been a staple at our training center for years, are an excellent way at bringing up a players weakness in a short amount of time. While most off ice camps fail to provide proper resistance training programs for their athletes, S.S.T. uses weighted sleds to achieve muscular balance. The backwards sled pull targets the Vastus Medialis muscle of the leg, which has been proven to be a fundamental weakness in the majority of hockey players who begin their training with us. Other sled techniques involve the athlete performing side lateral shuffles as well as cross-overs, each targeting specific areas to improve on ice stride power. In fact, our power sled training has become so effective in making athletes stronger that our DVD is one of the most popular training tools to hit the market! Through experience, research and results, Sports Specific Training has unlocked the mystery of effective hockey speed training. It’s a working program that has produced some of the quickest skaters on the ice today. Don’t be left behind!! Please contact your local SST to register for this years summer camp! Why Increase Your Omega 3 Intake? I keep hearing about good fats and why I should be taking them. If I took good fats wouldn’t I just become fatter and what are the true benefits? Also, what are Omega 3 fats? Hey Grant, that’s a great question and one that I hear regularly. First let’s get an understanding of fats. Fatty acids can be broken down into two main categories- Saturated and Unsaturated. These two can be broken down into sub-categories as well, such as monounsaturated and polyunsaturated. Fatty acids are made up of the number of carbon atoms and hydrogen molecules they can hold. All fats have a combination of these with one being predominant. Fat is necessary for good health. Deficiencies of the so called “Good Fats” can cause health consequences. Good Fats can be described as Omega 6 or Omega 3. Omega 6 fats are highly consumed in our diet relative to Omega 3. The ratio is up to 20:1 whereas it should be more of a 1:1 ratio. Here at SST, we like to put our athletes on higher dosages of Omega 3 fats. There are 3 types of Omega 3- ALA (found in flaxseed oil, hemp seed oil and walnuts) Docosahaexaenoic (DHA) and Eicosapentaenoic (EPA) which are found in fish and fish oils. ALA is essential but does not convert well so I like to recommend fish oils to our athletes. Our brains are made up of 60% fat. DHA is one of the most important fats for the brain and it is sometimes called “brain food”. All omega 3 fats also help with the anti-inflammatory process of the body as well. As well, a higher intake of Omega 3 leads to fat loss. This is usually the first supplement I add to our athletes’ diets when they come into the SST Centre. As mentioned I prefer a high dose of fish oils for my athletes depending upon their body fat levels – from 9-15 grams per day! I like to use reputable companies that use higher grade fish oil such as Metagenics, Genestra, Organika, Life Extension and my good friend Charles Poliquin’s in-house brand. I instruct my athletes to take their fish oils with every meal. A good trick to help avoid burping up fish a taste is to keep them in your freezer. Grant I hope this helps you understand Omega 3 oils a bit better! Michael is unlike any other youth athlete I have ever known. 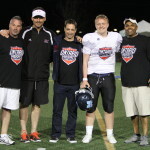 I do not think one coach at SST Mississauga has not mentioned how hard Michael works or his positive attitude in the gym. Even many of our other athletes have commended him on his work efforts and eagerness to train. He is always looking to push himself further and lift a little more each week. Michael always has a smile on his face and is never shy to talk to anyone! When it comes to our end of workout ‘Finishers’ Michael thrives! He loves challenging himself and seeing just how far he can push himself, especially if older athletes are around to compete against! Michael is a true force to be reckoned with and he is the epitome of SST Strong! 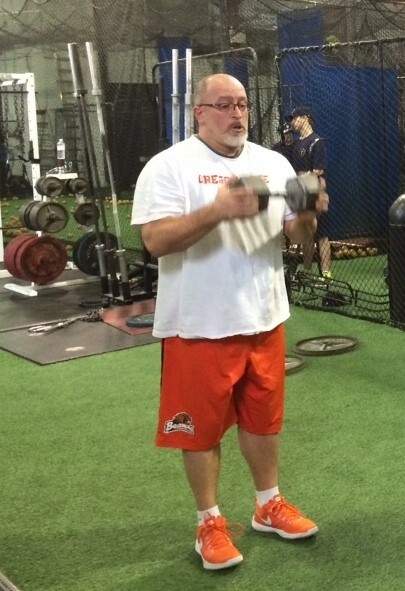 John has been training at SST Mississauga for years along with his two sons. 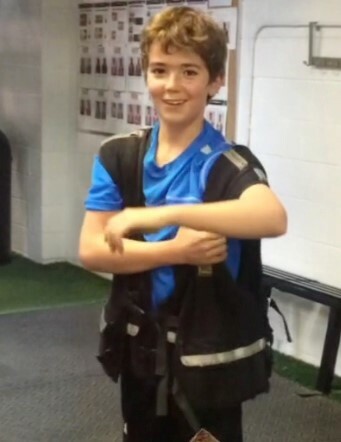 John is incredibly dedicated to his training and is religiously in the gym 3-4 days a week. He recently embarked on SST’s ‘Get Lean’ program and after 3 weeks is already down almost 6lbs but has gained almost 2lbs of muscle! His determination to make changes in his like to feel better, be healthier and get stronger make John truly SST Strong! 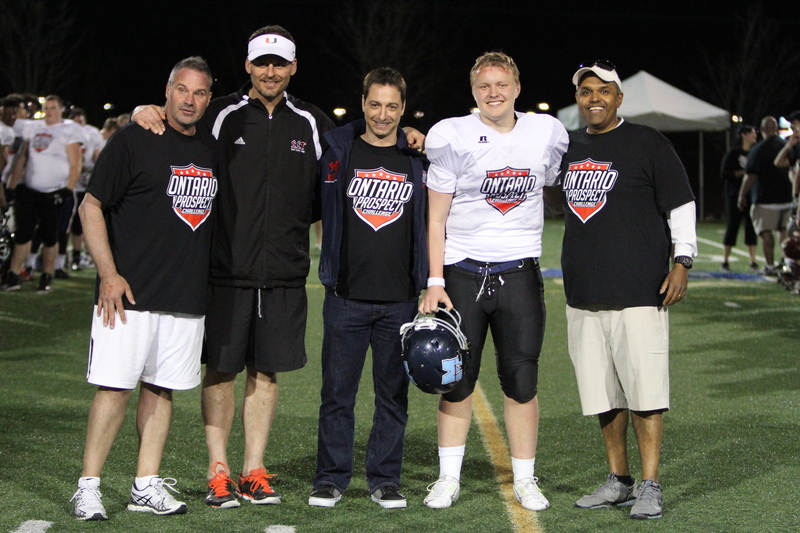 This past weekend saw some great OPC football in St Catharines, Ontario. 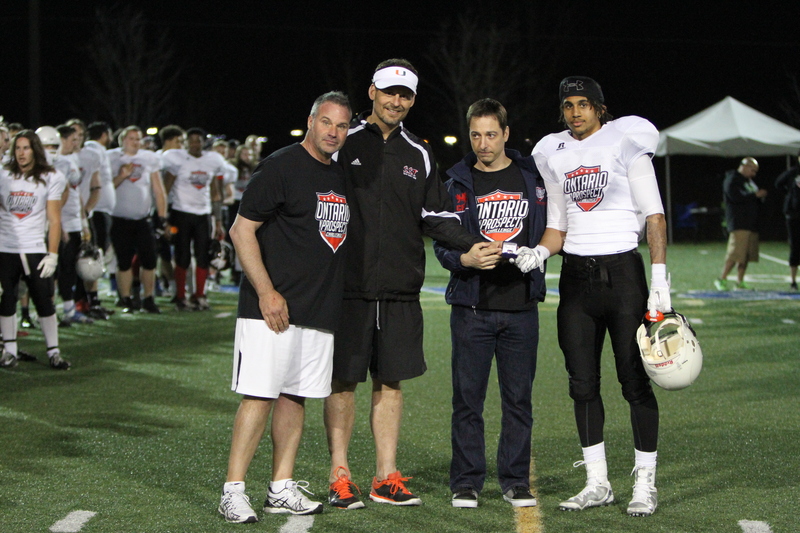 Here are the games stats for the – 2015 Ontario Prospect Challenge Varsity Game.